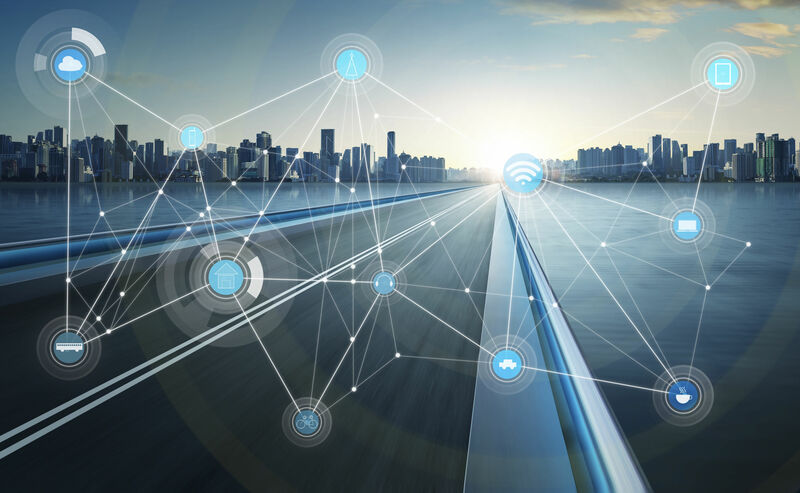 In the first article of this series outlining the key players on the IoT connectivity market we looked at distinctive features and theoretical capabilities of the major LPWAN networking solutions. This time we’ll be focusing on how these technologies have been applied in our brave new world, what benefits these pioneer developments reaped, and what challenges surfaced in the course of their rollout and operation. 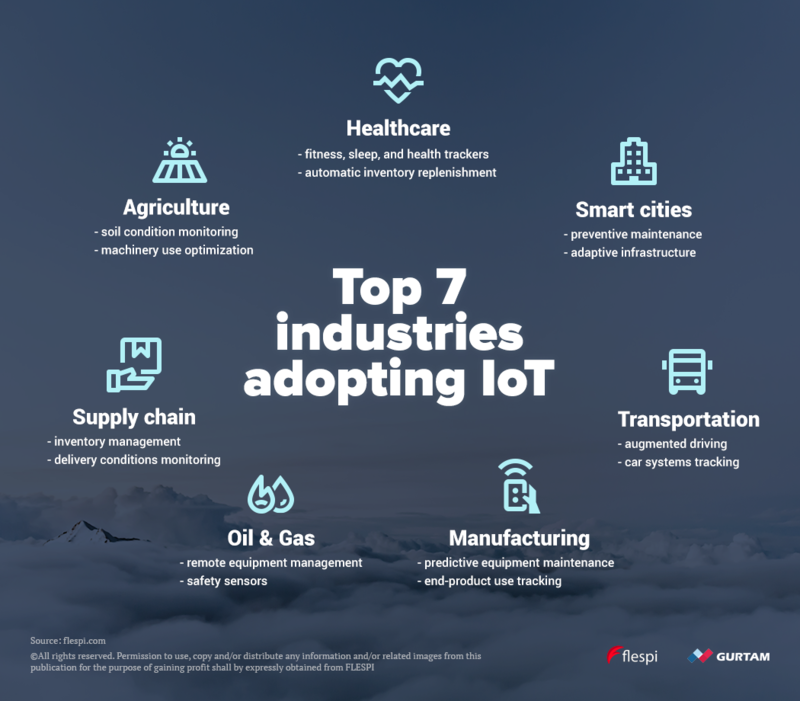 With the wave of ubiquitous connectivity rising and gaining momentum in the lead-up to the giant flush, we start seeing the first sprinkles here and there which are harbingers of the global IoT spread-out. The current disparate attempts are mostly local or dedicated solutions, part of which are trials or pilot launches focused on testing and tweaking the deployed infrastructure. Nevertheless, the early adopters are quite evident even at this initial stage. 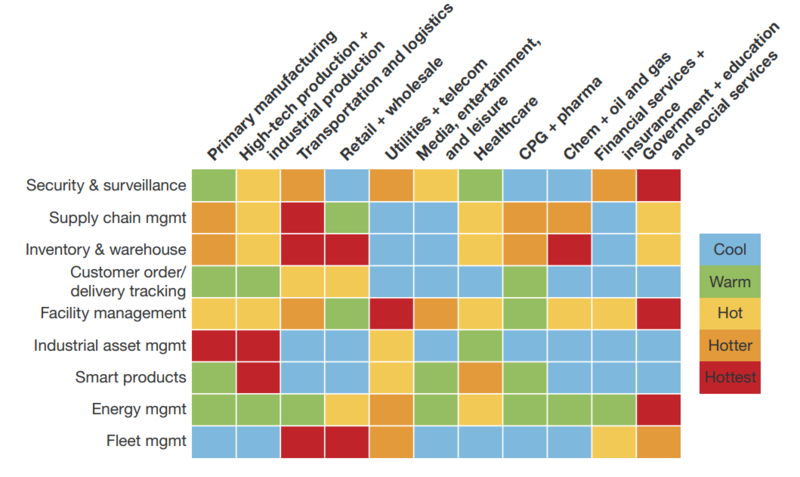 The heat map below illustrates which industries and which specific functional areas within these industries are taking advantage of the IoT more actively and which ones are reluctant to add the latest connectivity developments to their business toolkits. In this analysis, we try to sketch the landscape of currently implemented LPWAN networks powered by different IoT connectivity providers, contemplate on the future perspectives and most anticipated advances in the field of IoT connectivity. Niger Delta is one of the richest oil basins in Africa making Nigeria one of the biggest oil producers on the continent. Shell Nigeria, a leading operator in the area, wanted to optimize its operations, improve performance, as well as ensure a safer working environment for its workers. They ended up creating a connected oilfield based on RPMA technology. Danone Waters, a natural, flavored, and vitamin water business of Danone corporation, was seeking to optimize its logistics operations by switching from automotive to railroad transportation. The major concern was the absence of real-time rail fleet tracking, which together with extensive idle periods and inefficient maintenance led to poor performance albeit lower price. 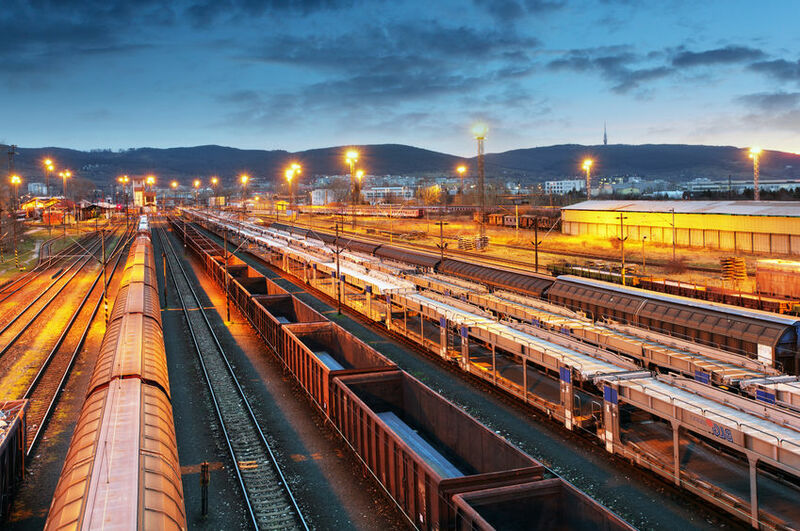 To resolve these issues IDEO (a branch of ID Logistics Group) created the first private railway freight hub in Europe using Sigfox network for connectivity. This municipal project implemented in a small town in the suburbs of Budapest was initiated by Hungarian government as a pilot attempt to automate and rationalize electricity management with plans to scale it across Hungary if successful. The challenge was to provide reliable long range communication between sensors installed on the lamp posts and management software. The solution was deployed using LoRa technology, LoRaWAN network management server, and the inteliLIGHT CMS application software. Further, we will give a couple more examples in lesser detail. Telia company installed over 110 NB-IoT-enabled parking sensors at the municipal parking in Oslo. Using the companion app car drivers can see which spaces are vacant. The sensors are active only when the car arrives at the parking space or vacates it; at all other times the sensors are idle and can operate for years before the battery requires replacement. Since NB-IoT works just fine with the existing 4G base stations, investments in infrastructure are minimal. The next step is to implement remote space booking in the app to make commutes more enjoyable and predictable. An important “side effect” is that the data collected by the app can be used to analyze demand patterns and plan new parking lots and fares more intelligently. AT&T won the race with Verizon by launching the first LTE-M network in November 2016. Their commercial pilot was introduced in San Francisco and was supported by five influential partners: PepsiCo interested in smart vending, Samsung exploring ways to improve customer experience with wearables and consumer devices, Badger Meter implementing smart water metering solutions, CalAmp enabling commercial vehicle and asset tracking, and Capstone Metering aiming to enhance smart cities sensor technologies. AT&T has ambitious plans to deliver nationwide LTE-M coverage throughout the USA and Mexico by the end of 2017 and invites numerous companies (including Altair, Ericsson, Qualcomm Technologies Inc., Sierra Wireless, u-blox, etc.) to test versatile projects across industries and applications in their network. We were trying to have equal representation of most popular LPWAN technologies across different industries here, but since some technologies are currently being standardized and tested not much information is available on their practical uses. Now we want to highlight some of the trending themes and deduce what the near future holds for this booming market. tons of data collected by different companies at different stages of the supply chain can be shared and combined for more complex analysis of the industry as a whole with insights potentially beneficial for all parties (including the customer). One doesn’t need to be a prophet to state that IoT invasion is definitely happening. We already have smart beds, smart speakers, and smart cars. But where do we invest our own smartness? Into creating something even smarter or making smarter use of what is already available? Hopefully both. As you can see currently it’s all about preventing rather than reacting, saving and optimizing rather than wasting, making informed decisions rather than wild guessing. Further advancements should allow detection of interdependencies and interconnections invisible to the human eye due to zillions of data points involved in the analysis. IoT connectivity options should evolve in sync to facilitate deployment of new, more sophisticated projects. 5G creeping into the infrastructure of several countries means new developments in IoT by cellular operators. Proprietary technologies are also keeping up extending their networks, supporting more device types, and earning the support of industry behemoths. flespi team held a small survey for the participants of the annual Telematics conference to see what businesses in the field need and how it aligns with our vision of the product. A fast way to create a flexible IoT dashboard powered by flespi MQTT API, MQTT Dash Android app, and a Concox GPS tracker to operate a light bulb and more.